Hi there my name is Stephanie. 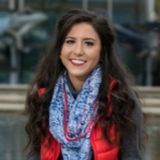 I am a senior business student at DePaul and have ample experience house and petsitting. Can't wait to chat with you soon.